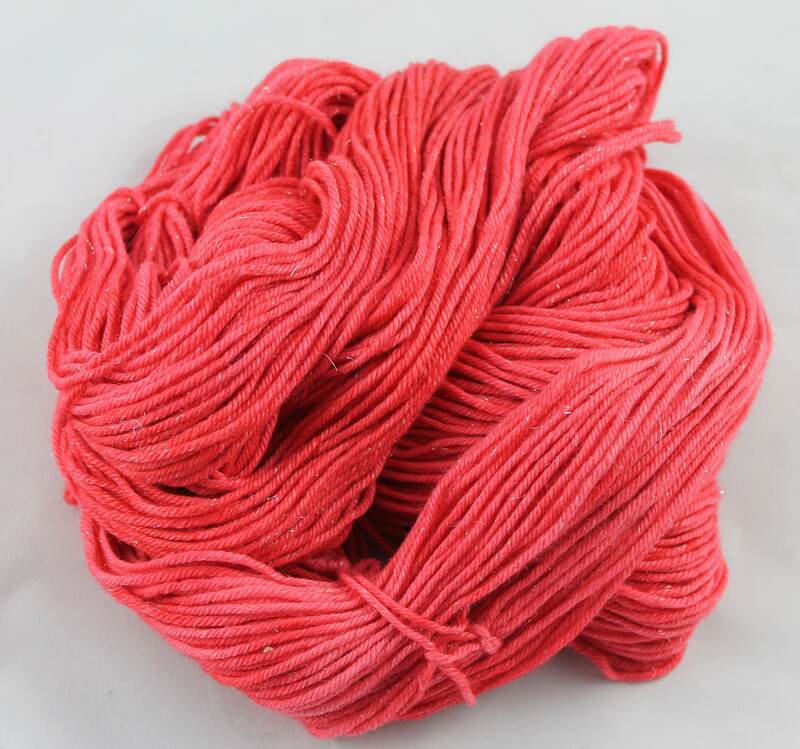 Hand painted, DK weight natural yarn, extra fine merino, silk and silver sparkle, 100g/212m skein. This yarn is one of my favourites for knitting into accessories from wraps to scarves, hats and mitts. This skein has enough yarn for a hat, scarf or mitts and I was thinking in the hot sunshine about chestnut hunting in the frost! 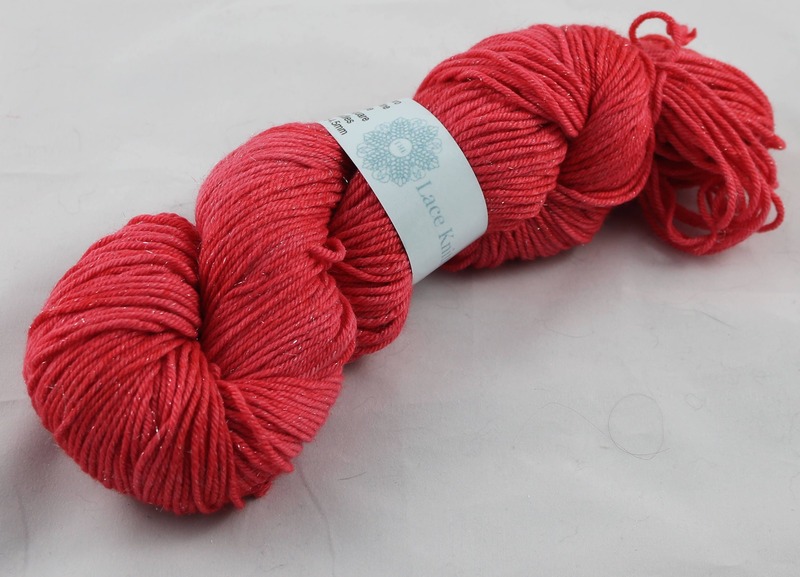 I hand painted this skein in a bright tomato red/orange colour which makes the silver sparkle pop. 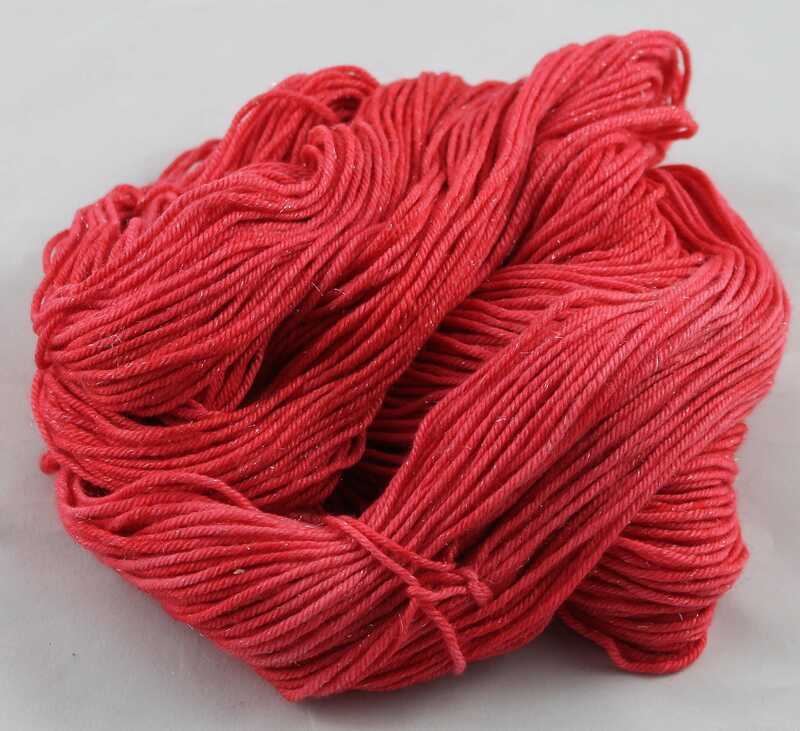 70% extra fine merino, 20% silk, 5% silver stellina sparkle. 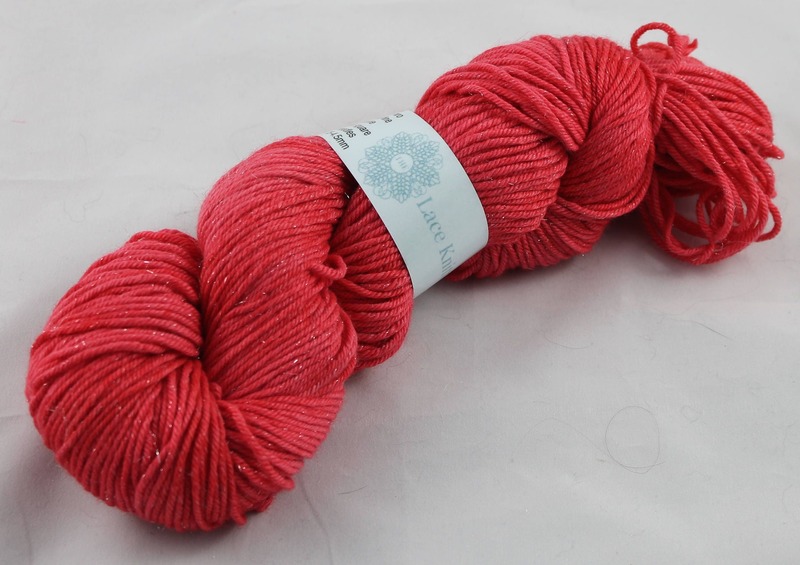 This listing is for a singe skein, if you would like more, this yarn in a different colour or this colour in a different yarn please contact me. I love custom orders.